Upcoming Services and Special Events! TRAFFIC DETOUR NOTE: The City of Eugene is holding a marathon this Sunday, (April 28) from 7 a.m.-2 p.m. This will block part of Hilyard Street and more. The easiest way to approach Unity is coming from the West on 40th (via Willamette or Donald). If starting in North Eugene and Springfield, we've heard it's best to cross the river at Coburg, or at the Delta Hwy/126 interchange to Jefferson Street. You can download a general map if you scroll down near the bottom of this page: https://www.eugenemarathon.com/race-day-details. On race day, a real time traffic routing guide is available for your smart phone (iPhone or Android) by downloading the Waze App from the App Store. Pre-Service Meditation from 10:00-10:15 a.m.
2:30 p.m. – The Ordnary Home Companion Radio Show with live music by the band Moonlight Jubilee at 12:15 p.m. Donation basis. Pre-Service Meditation from 10:00-10:15 a.m. We also have the Galilean Plant Sale before and after the service! “The Spiritual Magic of Music and Meditation.” With help from the Unity Music Team, Jon West and Laura DuBois will explore how music can open the heart and lead us into a deeper place of communion with the Infinite. Pre-Service Meditation from 10:00-10:15 a.m.
- After the service – First-Sunday Potluck at Unity. Bring a main dish or salad, and invite your friends and family! Unity will provide coffee, tea, and dessert. I had been away on a 4-month adventure in Europe and Egypt, and Lauri had made all the arrangements for a special celebration at my fraternity. But because I had overlooked the banner and I was greeted with “Hi Jon” instead of “Surprise!” I assumed I was returning on a regular Friday night when my frat brothers were naturally hanging out drinking beer and naturally happy to see me. To Lauri, my ignorance was naturally construed as a critical lack of appreciation for her efforts. If God was a person, I suspect God might detect a similar lack of appreciation for the wondrous surprises we are given on a daily basis. After all, once upon a time there was absolutely nothing, at least that could be detected by modern science. From that sheer void unfolded time, space and a mysterious force able to shape itself into every animate and inanimate thing of nature in this world and countless others. As I sit here looking out my window, nature is unrolling banners of beauty all around me in the blue sky, the serene green grass, the singing birds, flowers radiating brilliantly in the sun, bumble bees busily collecting and spreading pollen like delivery drivers for Amazon.com, and on and on. Everything that makes our lives possible relies only secondarily on our human ingenuity and primarily on the One Life and Power from which this universe arises. Did humans invent the electricity that powers our lights, appliances, and allows us to compose, store, and send computer data around the world in seconds? Of course not. Like everything we do in life, we’ve only learned to tap into an existing power. Yet we’ve grown so used to that power that it’s easy to forget to feel awe-filled appreciation for the gifts bestowed upon us every second of our day. As we come together this Easter Sunday, may we gather in reverent observance of the infinite wonders that surround us. As we face the glory of the morning breaking over the world, may we feel the soft loving embrace of Spirit and hear within the core of our being this gentle yet exuberant whisper: Surprise! TUESDAY (7:00 p.m.) – The April 23 Behind the Lens Seminar film is To Be or Not to Be directed by Ernst Lubitsch, followed by a Q&A session with Tom Blank. Cost is $30 for series or $5 per time. – 11:15 a.m.-12:30 p.m. – Qigong for Energy & Inner Peace. Join Jasmine Grace for this ancient holistic practice with easy to follow, fluid movements. $8-10 per class sliding scale or $40 for 6 classes. (April 25-May 30) For more information, contact Jasmine at 541-944-6418. – 7:00-8:30 p.m. – Death Café. Come and share coffee, tea, cookies, and conversation as we normalize death so we can embrace life more fully. Space is limited so please R.S.V.P. to Ann Woeste at annwoeste@msn.com or 541-344-4087. TUESDAY (7:00 p.m.) – The April 30 Behind the Lens Seminar film is Saboteur directed by Alfred Hitchcock, followed by a Q&A session with Tom Blank. Cost is $30 for series or $5 per time. – 4:45-5:45 p.m. – The Art of Healthy Sleep with Barb Stevens-Newcomb. This series will weave together sleep and relaxation practices, ancient teachings, and the chemistry of sleep, to deepen your sense of wellbeing. $60 for 6-week series (May 1-June 5). Email whitebutterfly@riousa.com or call 541-554-7694. – 7:00-8:00 p.m. – 1st Wednesday Meditation Service with Jon West in the sanctuary. The hour is mostly silent meditation interspersed with devotional chanting and an inspirational reading or two. Donation basis. – 11:15 a.m.-12:30 p.m. – Qigong for Energy & Inner Peace with Jasmine Grace in the Fillmore Wing. $8-10 per class sliding scale or $40 for 6 classes. (April 25-May 30) For more information, contact Jasmine at 541-944-6418. – Therapeutic Touch in the Fillmore Wing. Donation basis. For more information, please contact Bev Forster at 541-520-9358. SATURDAY - (6:00-9:00 p.m.) – Reiki Do Satori Open House. This monthly event is open to all who are interested in receiving a short, free Reiki session for relaxation and/or healing. Reiki practitioners who would like to be part of this event are also welcome. Donations accepted. Dental Floss, Toothpaste, Disposable Razors, Toilet Paper, Clothes Hangers, Laundry Pods, Trash Bags, and Dryer Sheets. A container will be in the foyer for these donations. For more information, contact Grace Low at 281-507-2707. – 5:30-6:30 p.m. – Meditation Circle in the Fillmore Wing. All meditation approaches and drop ins are welcome. For more information, contact Laurie Cracraft at 541-345-7563. – 7:00-8:00 p.m. – Choir Practice in the Sanctuary. For more information on sharing your voice with the choir, contact Mo Robeson at 541-520-8489. – 10:30-11:45 a.m. - Tuesday Spiritual Discussion Group in the Harmony Room. This group reads together and discusses books chosen unanimously. The emphasis of the group is on discussion. For more information, contact Judy Richardson at 541-484-1958. – 12:00-1:30 p.m. – Vitality Yoga Series! To find out if space is available, contact Donna O'Neil at yogawithdonna@gmail.com or call or text (541) 632-0105. – 7:00 p.m. –Behind the Lens Seminar film series with Tom Blank. See listing at top under This Week. – 10:30-11:45 a.m. – Mellow Kundalini Yoga, Meditation, & Gong Relaxation. Perfect for beginners and people who don't think they can do yoga. Drop-ins welcome. Bring your own yoga mat or blanket. $5 per class, 100% to Unity. For info, message or text Sunny Hills anytime at 808-359-4926. – 12:00-12:30 p.m. - Noon Prayer & Meditation in the Peace Chapel with Linda Flock. Everyone is welcome! – 1:00-2:30 p.m. The Elder Council meets in the Garden Room. If you are 60 or older and have an interest, please join us. For more information, contact Bonnie Paquin at 541-345-8873. – 5:30-6:45 p.m. - Passage Meditation as taught by Eknath Easwaran. For more information, contact Laurie Cracraft at 541-345-7563. – 10:00 a.m.-Noon - A Course In Miracles (Fillmore Wing). For more information, contact Janet and Dennis Chandler at 541-485-5235 or email at janetkoppchandler@gmail.com. 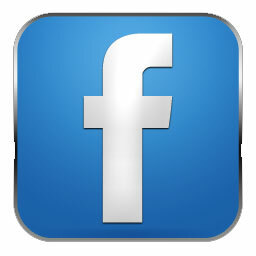 Facebook Users: Did you know that you can help spread the word about Unity of the Valley and its events? By Liking the Facebook page and then clicking "Like" or "Share" on individual posts, you can let Facebook know that these posts are important and make sure that the posts are seen by MANY more people. Please take a moment now to Like the page (if you haven't already) and share a Unity post with your friends. Unity’s Facebook page is at https://www.facebook.com/unityofthevalley .